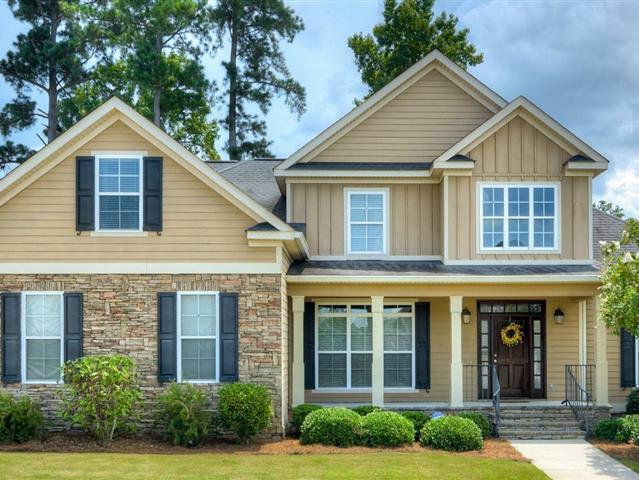 Beautiful 5 Bedroom move in ready home with side entry garage. Home is freshly painted and has gorgeous hardwood floors that were just re-done in foyer, dining room, great room, kitchen and breakfast room! Cathedral ceiling in family room with tile fireplace and a cat walk from upstairs to create an open feel. Kitchen/breakfast room with Old World cabinets, granite counter tops and pantry. Two bedrooms downstairs including owner's suite with trey ceiling, beautiful bath room, jetted tub and walk-in closet. Private entrance from owner's bedroom to deck in back yard. Private fenced yard for entertaining. Text or call Staci Price @ 706.619.0443 or call Bridges Realty @706.922.6390 to schedule a showing.